Before joining Story Contracting in 2018, Mariah was an Electrical Technician at M-Sport. She was interested in broadening her electrical knowledge and looking for a more hands-on role. As an apprentice plant refurb electrician, Mariah’s role involves wiring the many machines and attachments within the workshop as well as general fitting tasks like assembling machine parts and other refurbishment activities. 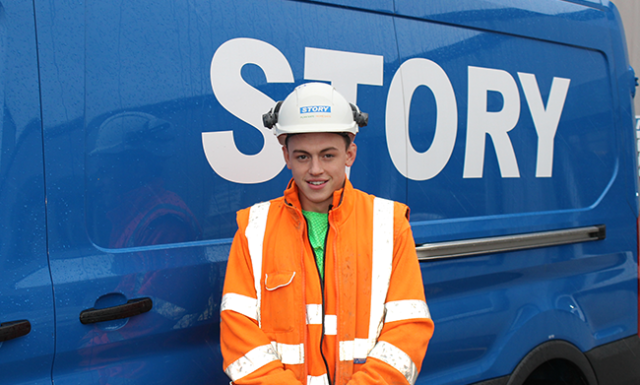 After leaving The Nelson Thomlinson School in Wigton, Cameron applied for an Apprenticeship with Story Contracting. He was drawn to the company because of its reputation and large plant fleet. As an apprentice Plant Operator, Cameron’s role includes a number of tasks such as plot works and drainage works. He has also recently completed a Dumper Ticket and his next challenge will be to use a 360 Excavator above 10 tonnes within his first six months. Ben joined the business in 2018 after leaving the Annan Academy and was attracted to Story Contracting because it is a well-respected brand within the local area. Matt Davies joined Story Contracting in 2018 after leaving Caldew School in Dalston, and was keen to join the business because of its strong reputation. 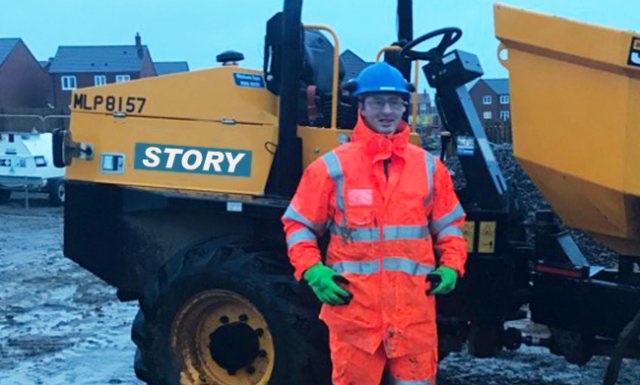 Matt is currently working as an Apprentice Groundworker at the Story Homes Fairways site in Penrith and his role includes activities such as kerbing, flagging, laying slabs and working on drainage.